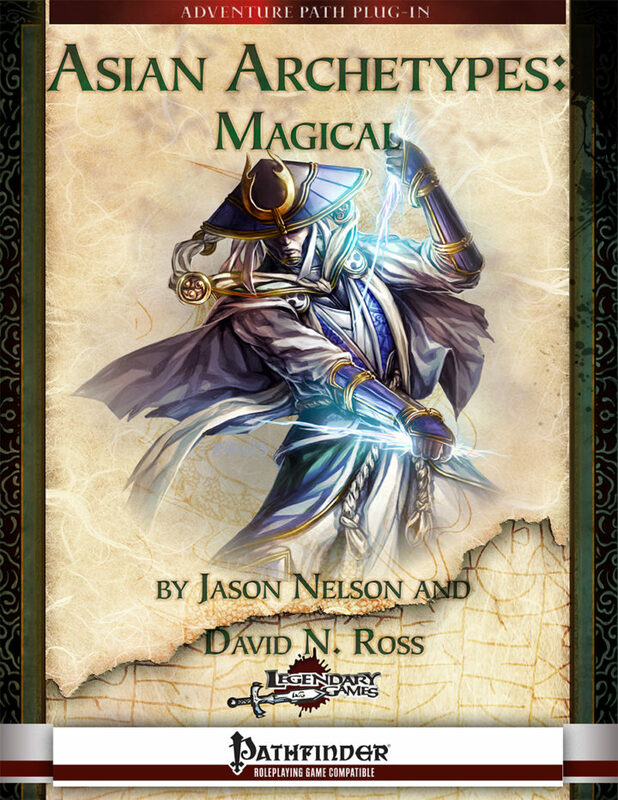 Asian Archetypes: Magical brings you an incredible array of new Pathfinder Roleplaying Game class options for characters drawing upon the classic tropes and traditions of Asian fantasy! You'll find 14 awesome archetypes here covering almost every field of magic imaginable. You'll find hermits of the wild like miko shamans drawing their power from kami spirits and wushen wizards relying on primitive fetishes and obsessive taboos, as well as worldly and urbane arcane academics like the studious numerologist wizard and the origamist arcanist. For some, magic is a tool to serve a higher purpose, whether jinshi wizards upholding the state and its bureaucracy or censor inquisitors ensuring purity of thought. Bodhisattva paladins and jade fist bloodragers each seek purification of themselves and the world from the taint of evil, while kenja clerics seek the subtle pleasures of peaceful contemplation and spreading tranquility wherever they roam. The roaring thunder of raiden shamans and the booming fireworks of skyflower savant alchemists embody the opposite extreme, but even their bombast pales before the nearly suicidal devotion to destruction that is the daily bread of a kaiju caller summoner! Whether you're playing a completely Asian campaign or just want to add a dash more Asian spice to the ninjas, samurai, and more in your game, you'll find a wealth of exciting new opportunities in Asian Archetypes: Magical. Pick up this 30-page character supplement today and Make Your Game Legendary!